This is a classic story about a boat * that is seen rising out of a strange mist on the Platte River in Wyoming. 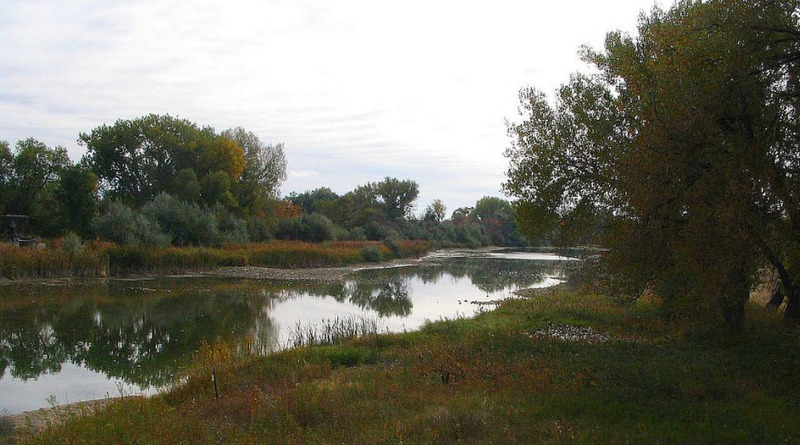 It has been seen near several towns along the North Platte River in the late autumn. As it rises out of the sometimes-dangerous waters of the Platte a huge expanse of fog always precedes it. Witnesses who have seen this ship up close state that it appears to be covered with frost—from the sails to the mast. They report seeing a crew on board also covered with frost. These men are seen huddled around a corpse lying upon a canvas sheet. This disturbing legend states when witnesses see this it foretells death. The crew steps back from the corpse, revealing to the witness, the corpse of someone they know. In each case that person dies the same day. Leon Weber, a trapper, reported the first sighting of this ship in 1862. He saw the crew step back revealing the corpse of his fiancé who died later that same day. Gene Wilson, a cattleman, saw the body of his wife laid out on the canvas in 1887. Yet another witness, Victor Heibe, while chopping down a tree by the riverbank, spied the ship in 1903. Laid out on the deck was the body of his close friend. The people seen then died. This ghost story like many has been told and retold for years. The basic story changes but the intent--to scare-- remains the same. * This modern legend refers to this vessel as a "ship." 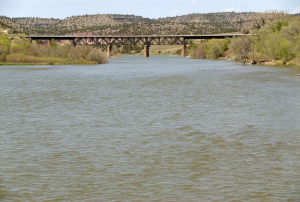 But in the original legend this vessel was probably a flatboat or boat instead--for the Platte River like most western rivers is too narrow and shallow for this type of vessel. Way before John Bell Hood was a general on the Confederate side during the Civil War in America he fell in love with a lovely black-haired beauty by the name of Anne Mitchell. 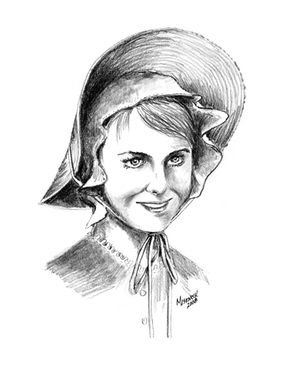 She was known as the “belle of Central Kentucky.” She had a sweet and kind disposition and she had her pick of the eligible bows in the area. In her late teens she met John Bell Hood who was attending West Point and was home on furlough. Hood courted Anne and the two fell passionately in love. Their favorite place to meet in the evenings was in the garden of the Hood home. This garden is where Anne’s ghost is seen today. Another suitor for Anne’s hand, a Mr. Anderson, approached the Mitchell family promising if he was allowed to marry Anne he would build a fine home for them both, near the Mitchell’s family home. Anne’s father preferred Mr. Anderson because unlike Hood he had a great deal of wealth. John returned to West Point and Anne’s family began to pressure her incessantly to marry Mr. Anderson. Anne gave in but made one request, she wanted to write John a private letter and send it to West Point. In this letter she poured her heart out to the young cadet, she told him she “would love him forever” and would only walk “the garden path” with him in this world or the next. She informed him she was being forced to marry another. John upon receipt of this letter left school and rushed home. Hood managed to get Anne a note requesting she meet him a couple of nights later at the garden gate. He assured her he would have a horse waiting for her so they could ride fast and get married before her family discovered her absence. Unfortunately one of the Mitchell family slaves discovered Anne was gone right after she left to meet John. Anne’s father and brothers reached the garden just as John was putting her on her horse. She was forced to return home. Her father locked her in her bedroom. She could see the Hood garden from her window. She was kept in confinement until the day of her wedding. Her view of the garden was her last contact with the man she loved. After the marriage, Anne refused to move from the Mitchell household so Mr. Anderson moved in with her. Her new husband provided her with material wealth and affection but she never stopped loving John and she never forgave the punishment she felt her family had inflicted upon her. When she found she was pregnant she became moody and depressed. After the birth of her son she refused everyone admittance to her rooms including her husband. She stopped talking altogether. When she finally spoke months later she pronounced that everyone who had been involved in taking her from the love of her life was cursed. That same afternoon a storm blew in, a lightning bolt struck the corner of the Mitchell house and part of the brick wall caved in. Anne, one of her brothers who had stopped her escape, and the slave girl who had sounded the alarm were all killed. Legend has it that as the years past Anne followed through on her curse by haunting her family and their descendants. Family members affected by this curse included her father, her son and then his sons. All died violent, tragic deaths. 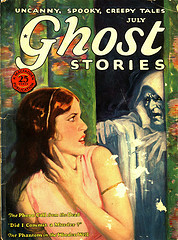 Her curse appears to have lasted for many years, as recent as the 1940’s one of her great-grandsons committed suicide. As for the two men who loved her—her husbands’ second wife died and after this there is no record of him. As for her true love, John Bell Hood, he appeared not to escape the curse; he lost one of his legs in the Civil War and his career as a general ended in disgrace. On the other hand, people who have witnessed her ghost wandering in the garden of the old Hood house, the place she was most happy, state despite being “shaken up” by the encounter they never felt threatened or frightened. In fact, many who have felt or seen her in the garden, state she is a quiet gentle presence. This question is asked a lot on the Internet but the responses often don’t take it seriously. No one has a definitive answer to this question but here are some practical suggestions. First be aware the brain often plays tricks on us but if you really feel you have seen a ghost consider the following. Avoid fear to the degree you can. Fear tends to attract negative energy. Also step back objectively and understand that spirits cannot harm you. If you are a child go to an adult you trust immediately and tell them. If you see the ghost again tell the ghost to leave you alone—you can also state you cannot help them—then go to an adult. If the encounters persist ignore them, put them out of your mind, and don’t talk to them again and they will most likely move on. If they don’t, again ask an adult for help. For adults the most effective thing to do is stay put so they know you are not afraid and then ask the spirit very firmly, “What do you want?” Or you can ask, “How can I help you?” This in a sense puts them on a level playing field with you. If you acknowledge them, treat them with respect, and show no fear this gives you the power. Often spirits just want to be acknowledged. If the spirit stays around you have two main options, the first is to build a relationship with them. I have known people that have lived with ghosts for years. They in a sense become apart of the family. You can talk to them, reason with them, set guidelines they must follow and most when treated with respect will follow your wishes. Your second option is to tell them to move on and then ignore them, bless your house or have it blessed, or have it smudged, etc. Note: this advice is for an intelligent haunting—if you have a residual haunting it is best to just ignore the activity. They are not aware of you so why worry. The idea of talking to spirits I am sure seems odd. But keep this in mind if you are not comfortable with this concept. For many years, people have done exactly this and it has worked for them—so it could work for you. Some feel to communicate with ghosts you need to communicate not with your voice but with your emotions because they communicate with their emotions. I will write about this method in a future post. These two types of ghosts are sexual in nature. An incubus is a male ghost and a succubus is a female ghost. When the living encounter this kind of spirit they often report a feeling that they have been caressed or even violated for the purpose of sexual gratification. 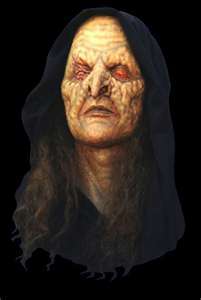 Today many associate this kind of encounter with ‘Old Hag Syndrome” which I wrote about in another post here. These kind of encounters have been associated with Old Hag because people often report feeling a pressure weighing down on them and they sometimes state that these encounters seem to happen in a dreamlike state. These descriptions sound similar to “Old Hag” hence the association. But many incubus or succubus descriptions go way beyond what we associate with this syndrome. Are the people who report this phenomena truly being attacked by an unseen pressure or is it imagined or psychological in nature? Regardless, it must be admitted that some of these encounters are something other than sleep paralysis. As more people openly share what they have experienced it is becoming more acceptable to consider the possibility that some negative ghosts abuse the living in this way. Since many people believe that ghosts exist—then should we also accept that incubus and succubus attacks occur? If we can hear ghosts' footsteps their voices, and if they can move objects and touch the living, then it should be conceivable that disturbed or negative ghosts could attack in this manner. As I have mentioned in past posts many feel that ghosts reflect their personalities while they were living. If they were good and kind while alive they most often will be mild ghosts. But if they were angry and violent while alive they will have these same attributes as ghosts. Therefore, it could be a distinct possibility that some ghosts sexually abuse the living. When you decide to form a ghost hunting team you need to keep in mind several goals. The first is to choose people who are dedicated and willing to drop everything to participate. The second is to choose people who you can trust. The third is to choose people who are willing to follow the rules of your group. The fourth, is to choose people who are willing to publicize your team and help locate haunted areas, request permission to investigate, and then do research for investigations. Finding people that match the qualifications above is not an easy task. But if you assemble a team with these qualifications in mind it will guarantee your group will be successful. How you structure and organize your team is as important as the people you choose. First, be aware that you should keep your team small. Second, you should provide training for your members. Third, you should assign each member a role they must perform during investigations. Fourth, communicate clearly what equipment will be supplied and what basic equipment each member should buy for their own use. Make sure you include both believers and skeptics on your team. You need to make clear to potential members that it takes a lot of time and effort to be an effective ghost hunter. Ghost hunting can be entertaining but you need to be honest with new members—it is also a lot of work. If your team is more social than serious then the items above are not as important. Finally, write down a list of expectations for your team e.g., how everyone should treat clients, what they should do to prepare for an investigation, keeping a positive attitude, etc. Communicating these simple guidelines will insure a successful investigation and allow everyone to participate effectively. Also make sure you keep a good sense of humor, being the leader—you will need it. One ghost story from the 1800’s has significance because the phenomenon connected to it is still reported by eyewitnesses today. In the 19th century trains were American’s top choice for travel. Railroading in this century was dangerous. Accidents were a common occurrence. One particular dramatic accident led to a chilling ghost story. This story is about a headless conductor, who haunts the tracks near where he died, and mysterious lights--some appearing to be a lantern’s glow and others appearing to be from a train’s headlight. Charles (Joe) Baldwin was a conductor on the Atlantic Coast Railroad in 1867. One rainy night, according to legend, he was the sole occupant in the rear car—the caboose-- of a train heading to Wilmington. As the train neared Maco, North Carolina, Baldwin realized the car he was in had become detached from the rest of the train and was stopped on the tracks. He knew another train was following so he ran to the rear platform and started swinging his lantern wildly trying to warn the oncoming train. 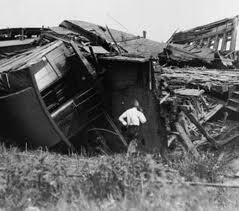 The engineer failed to see the stranded railroad car in time, and Joe Baldwin was supposedly decapitated in the collision. His lantern was found floating in a nearby swamp, his head was never found. Afterwards a mysterious light started appearing on the tracks—today it is estimated that thousands of people have witnessed these lights. After the accident people reported seeing a lantern—but not a man—moving along the nearby tracks. These witnesses reported seeing this lantern hover above the ground about three feet. They often stated it bobbed as if being held by someone looking for something. Many said it was Joe looking for his head. Over the years especially on dark nights, quite a few train engineers spotted these lights. Thinking they belonged to oncoming trains these engineers brought their trains to a complete stop. In fact, these mistaken lights distracted so many engineers that the railroad adapted a special signaling system used only at the Maco station. President Grove Cleveland is said to have inquired about the reason for Maco’s unique red-and-green signal lights when the presidential train stopped at Maco during a tour of the coastal Carolinas in the 1880’s. When he returned to Washington he began regaling people with the tale of Joe Baldwin and his lantern. The story spread and is now firmly embedded in American folklore. As the years past more and more people witnessed and reported these lights. 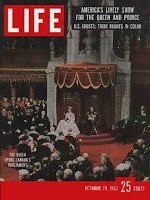 They became so famous Life Magazine featured them in their October 28, 1957 edition. Hans Holzer, an American pioneering paranormal researcher, in 1965 concluded The Maco Light was linked to Joe Baldwin. Holzer stated that Joe did not realize he was dead, and was still warning trains of disconnected rail cars. It is said these lights became such an issue that the railroad decided to abandon this train route altogether. In 1977 the railroad even removed the tracks. Some of the pilings from a trestle bridge that supported the tracks can still be seen in a streambed, the old railroad grade runs parallel to Highway 74/76. Today this is all private property and trespassing has become an issue. One of the streets in a nearby subdivision bears the name Joe Baldwin Drive. Despite the tracks removal a Wilmington paranormal group, Port City Paranormal, was able to capture a picture of this light anomaly in the spring of 2009. NC H.A.G.S., a Raleigh, N.C. based paranormal group, has recently posted two really good videos about “The Maco Light” on youtube. In the first half of the 20th Century in America popular fiction magazines or “The pulps” set the tone for what many Americans still enjoy reading today. They got their name from the cheap wood pulp used to make the paper they were printed on. They were 7 by 10 inches in size and a half an inch thick, they had rough untrimmed pages and millions of people read them. They were collections of stories that covered a large range of subjects including: Westerns, Romance, Thrillers, Mysteries, Super heroes, and the Supernatural. Since these stories were written in a short story format they provided a marvelous opportunity for the reader. They allowed the reader to become the story. In other words, the details given in these stories were often sketchy so the reader had to use their own imagination to fill in the blanks. 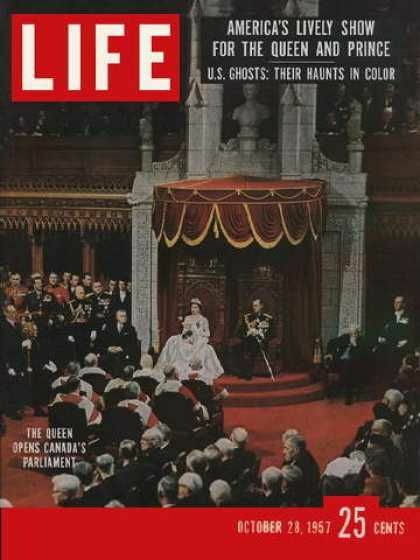 The names of these magazines and especially their covers attract attention even today. In fact, many of them are collector’s items. But when they were originally sold they went for a nickel or a dime. Because of the paper shortages during WWll and the rise in popularity of paperback novels, comic books, and television, the last pulp publisher stopped printing in late 1953. Published under names, such as, “Spicy Detective” and “Weird Tales” these magazines were written by many authors that were or would become famous, such as, Edgar Rice Burroughs, Tennessee Williams, Dashiell Hammett, and Ray Bradbury. These authors would receive on average only $75.00 for their stories. 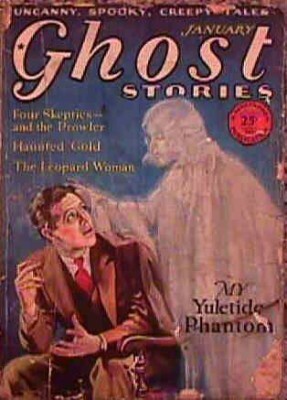 One pulp magazine that was published briefly from mid 1926 to the end of 1931 was entitled “Ghost Stories." Original editions of these today are the hardest to find so they sell for around $400.00 apiece. The ghost stories in these magazines revolved around real life experiences that people shared or reprints of classic ghost stories ranging from the gentle to the horrific. I have heard and read several of these tales over the years. I share an abbreviated version of one of them here. One of my all time favorites is one entitled The Green Window. I believe, this story was written by a woman, which is probably why it is one of my favorites. It takes place in the south and it is about one window in a mansion that regardless of how many times the pane is replaced always turns an opaque green. When I share some of these stories I will avoid using this particular prose. In March of 1911, a fire broke out at the Triangle Shirtwaist factory in New York City. It lasted eighteen minutes. Within this short period, 146 people perished most were young Jewish and Italian immigrant women. Sixty-two of these young women leapt to their deaths preferring this to death by fire. The Triangle Shirtwaist factory was a typical sweatshop of its day. 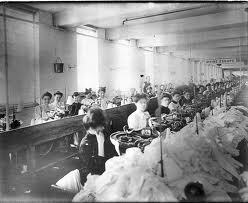 Some of the workers were as young a 13, and all worked fourteen hour days, six days a week for 6 to 7 dollars a week. The companies 500 workers were crowded into three upper floors of the Triangle building. The year before many of the workers had gone on strike for better working conditions. On the day of the fire, the exit doors were locked to keep the workers in and union organizers out. When the fire started, it leaped from one pile of discarded fabric to the next. Several workers began down the outside fire escape. But less than 20 made it down before it collapsed killing several girls. A shipping clerk tried to fight the flames with a fire hose, but the water had no pressure. 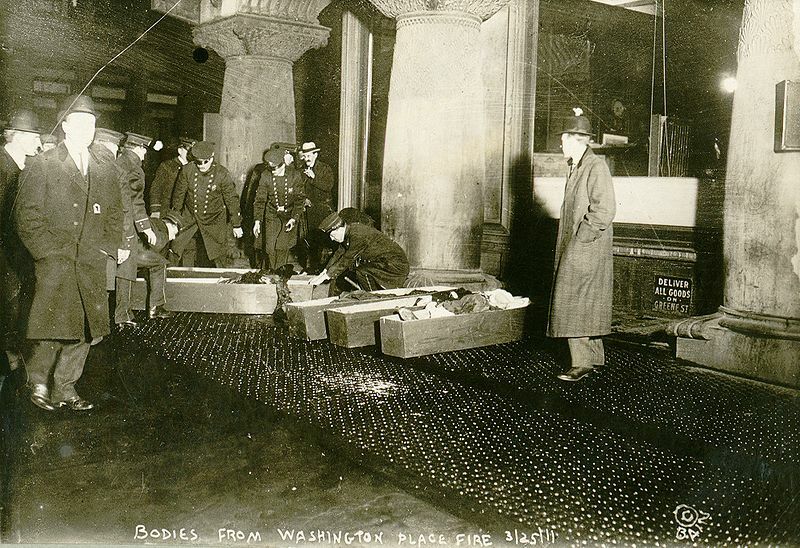 Many workers jammed onto the service elevator, but as it made its slow trips, the flames and smoke engulfed the rooms, so more workers jumped into the shaft as the elevator descended. Some managed to grab briefly onto the cables that held it in place, but most fell on top of it. This added weight forced it to snap free and crash to the bottom of the shaft. Others waited at the windows hoping for a rescue from the fire trucks below. But as the fireman raised their ladders they realized they were too short--they reached only to the sixth floor. They also found the water from their hoses did not reach the entire upper level. William Shepherd, a UPI reporter, was across the street when flames started licking out of the eighth and ninth floors. It is his account which told the story that evolved into the legend of the guardian spirit. He called his office with a dramatic report that was sent by telegraph operators simultaneously across America. Shepherd saw, way above him, a young man helping a young woman to the ninth floor windowsill. The young man held her out the window and let her drop. The man reached back into the flames, held a second girl out the window and then a third, letting them fall. Those who jumped into the fireman’s nets crashed through them. A witness reported seeing the fireman’s bloodied hands as they tried to hold tight. Sometimes two or three women jumped together, holding hands. It is not known how the fire started, perhaps a lit cigarette, or maybe the oil from the sewing machines lit rags in bins. Afterward, the fire chief said he found skeletons bending over sewing machines. The two owners of the factory were bought to trial, but they were acquitted because they had not broken any laws. As a result of the Triangle Fire laws for fire compensation and child labor were put in place. It also inspired a massive unionization movement in America. This building is considered haunted today. 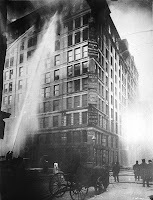 In my post, Triangle Fire's Haunted Brown Building I share information about this. When the frightening apparition in this story appears it is always at a fork in the road or crossroad where a lone driver in a car is traveling in an isolated area. This apparition is a harbinger of death. I still can’t drive a deserted road at night without thinking about this story. I guess it is because the image of the harbinger is so scary. The story begins with a phone call. My friend Isabella called sobbing to tell me that she and her husband were getting a divorce. Devastated for her I called my husband who was on a business trip in Chicago to inform him that I was going to drive to Santa Fe so I could comfort Isabella. My husband agreed and wished me well. It was late in the day when I started the drive. Santa Fe is a four-hour drive from where I live so I estimated I would not reach Isabella’s house until midnight. Tired, I found myself doing several things in the car, so I would not fall asleep at the wheel. I turned the radio’s volume up and rolled down the window to breathe some fresh air. As I drew nearer to the turnoff to Isabella’s house, I rolled the window up feeling a chill. The night was dark, and the rural road I traveled had no streetlights. I was having trouble seeing the road that stretched ahead, and I slowed down so I wouldn’t miss the turnoff to the dirt road that led to Isabella’s property. A coyote howled in the distance, this distracted me for a moment; I almost missed the turn-off. Feeling relieved this trip was almost over I relaxed. As the road split into two I took the left fork, out of nowhere a woman appeared in front of my car, I slammed on my brakes quickly to avoid hitting her. Seconds later the woman was gone. I inspected the area around my car wondering if I had imagined her. Then I saw her right beside my window looking in at me. Her eyes glowed red, her short teeth were pointed, I screamed as she leaped at my window her clawed hands striking the glass. I jammed my foot down hard on the accelerator, rocks flew as my car sped away, terrified I watched, as she was able to quickly run alongside my car continuing to strike the window, despite my speed. She finally fell behind, and in my rear view mirror, I saw her grow taller and taller until she was as large as a tree. Red mist swirled around her, and she pointed at me mouthing words I did not hear. I jerked my attention back to my driving afraid what might happen if I ran my car off the road. In a state of numbed panic, I reached Isabella’s drive and rushed to her entrance, I was still pounding on her door as she opened it. I fell into her arms crying and shaking. She assisted me with a chair and gave me water to drink. I somehow was able to tell her what I had seen. Shaking her head in concern, she asked, “Were you at the fork when you saw her?” Confused I nodded yes. Wringing her hands, she told me it must have been La malhora. "The bad hour?” I asked. Not believing in this superstition I laughed. But what I had seen still weighed heavily on my mind. Isabella was so distracted as she helped me bring in my luggage, she did not even mention her divorce. The next morning I felt much better. But as the day progressed I could not shake a feeling of dread. Neither one of us mentioned what had happened the night before, but we were both worried about La malhola as I announced I best head home. Isabella insisted upon accompanying me home. We left the following morning neither one of us wanting to pass the fork in the road at night. Within twenty minutes of pulling into my drive, a police car pulled up at my house. Isabella and I both knew what this meant. The police officer informed me gently that while returning from dinner, in Chicago, my husband had been mugged, at the time I had seen La malhola, his body had been found in an ally that morning. He had been shot in the head and died instantly. If you find you have an entity or negative energy that you cannot live with, and you have already tried to talk or reason with it might be time to consider having someone come in to smudge, cleanse, and/or bless your house or office, etc. Most people who do smudging charge fees so you might want to try to do it yourself first. Warning if you have a persistent presence you might have to bring in a professional, but I have known many who have smudged their own property successfully. 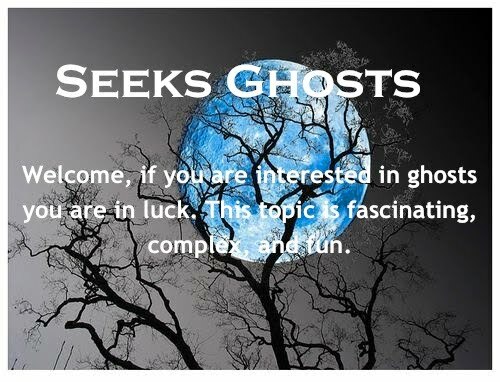 My group and other ghost hunting groups rarely assist because we are seeking ghosts not trying to get rid of them—but in stating this know that most ghost hunting groups can refer you to someone who does do smudging, etc. Some say if you just talk to an entity and tell them to move on, e.g., go to the white light; that this sometimes works. But keep in mind not all ghosts are confused and just need help, some stick around because they have to or want to. It is basically when you burn sage to drive out negative energy and sweet grass to attract positive energy. From churches burning incense to ancient cultures in China, India, Southeast Asian, and Native North Americans they all believe in burning herbal smoke mixtures to bless, cleanse, and send messages to the spirit world. These rituals are also believed to possess protective and healing powers. If you decide to smudge yourself here are some essential items you will need. A sage/sweetgrass smudge stick. Candles—these are lit to signify your intent is pure. Crystals, for example, rose quartz promotes peace—make sure and cleanse beforehand by soaking it in sea salt for 72 hours to wash it. Crystals act as transmitters of your intent and they also maintain it. Lavender oil is used to restore balance. You will also need these items: matches, stone or ceramic bowl on which to place your smudge stick, a large feather to waft/move the smoke, and an oil burner to put hot water in so you can float the oil. Traditional plants used in smudge sticks are sagebrush, sage, sweetgrass, lavender, cedar, mugwort, juniper, yerba santa, and rosemary. You can use a large seashell as a smudging bowl. Burning an essential oil when used in combination with a smudging stick allows for a pleasant aroma that has a stimulating effect. So How Do Crystals Fit into a Smudging Ritual? The unique crystal's power can enhance the smudging process. For example, quartz is a power stone that transmits and receives energy. Turquoise is a protective stone it promotes success and fulfillment. Amethyst is a soothing and cleansing stone; it promotes a good night’s sleep. Sodalite is a positive balancing stone it can be used as a healing stone. Citrine clears the mind and gives confidence. It helps foster friendship and dispels fear. Rose quartz, which I mentioned above, is a symbol of peace and love it helps with self-esteem and helps heal grief. Remember to cleanse/soak crystals before you use them. Now to the actual smudging. This one is modeled after a traditional Native North American ritual. Light the smudge stick and place it in the bowl—let it burn for a few minutes until the tip starts to smolder. Fan the flames for a while, and then extinguish the fire, so the smudge stick smokes. Carry the smudge stick in the bowl to catch any stray residue. 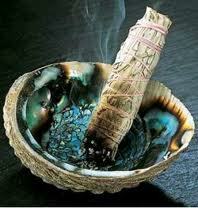 Take the feather and smudge all items, e.g., move the smoke with the feather toward items you are smudging. Smudge yourself, and anyone who is with you then walk around each room wafting the smoke into each corner. Call on the spirit of sage to drive away negativity from each room and then ask the spirit of sweetgrass to bring harmony and balance to the room. Move to the center of the room and stand still. Turn to the east and fan the smudge four times in this direction saying, “Spirit of the East, Great Spirit of the Air, cleanse and inspire this space. Put the smudge stick and bowl down and stand quietly with your eyes closed. Visualize the high spirits you have summoned standing guard around the room. You can visualize them as archangels or the four Native North American traditional spirit animals. North is the Buffalo, East is the Eagle, South is the coyote, and West is the Grizzly Bear. Visualize the loving energy of the mother and father spirits above and below you. Give thanks to all of them. Warning: When you smudge a house the smell of this smoke lingers for some time. Mary Surratt was the first woman to be executed by the American Federal government. 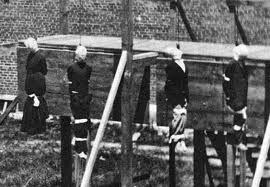 She was hanged on July 7, 1865 accused of participating in a plot to assassinate President Abraham Lincoln. Mary went to her grave proclaiming her innocence. Mary just like most women of the time dreamed of a good life with a husband and children. She was a devout catholic. When she married John Surratt in 1840 she requested he convert to Roman Catholicism. They and their three children lived in Maryland. John had inherited land and money from his family but he and his wife were not happy. Mary discovered her husband’s unfaithfulness when another woman charged him with a paternity suit. After this things went from bad to worse in their marriage. Not liking his wife’s religious ways John drank more and more and he often failed to pay his debts. As time went by his temper became more volatile. He built a tavern and inn on 200 acres that became known as Surrattsville—today it is Clinton, Maryland. Like many wealthy families of the time the Surratts owned slaves. John became postmaster and Mary was active in the local church fund. Lonely and at her wits end Mary formed a close bond with the local priest. It was rumored they were having an affair and the priest was sent away. Mary continued to correspond with him. 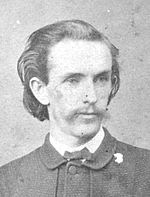 John bitter about Mary’s attachment to him cruelly suggested she should also service the customers that stayed at their inn. John’s debts continued to mount and his drinking worsened. When the Civil war began in 1861, Maryland a border state remained apart of the Union—the northern side. But Mary and John were southern sympathizers so their tavern and inn became a safe house for fellow sympathizers and Confederate spies. John Jr. their youngest son became a courier for the Confederates moving messages, cash and contraband back and forth across enemy lines. Their oldest son Isaac moved to Texas and enlisted in the Confederate army. Mary’s husband died in 1862 from a stroke. He left the family in serious financial difficulty. Both John Jr. and Ann, their daughter, moved in to help Mary with the farm and business. John Jr. was appointed postmaster of Surrattsville but he was dismissed in 1863 for disloyalty to the Union. In the fall of 1864 Mary weary of running the farm and business, compounded with the fact that several of their slaves had run off decided to move her family to a townhouse her husband had purchased years before, on H Street in Washington D.C. Mary took in boarders, and the townhouse quickly became a center for John Jr’s covert activities. It was here Mary met John Wilkes Booth. He was handsome, a successful actor, and charming. Mary was flattered by the attentions he paid her. Booth a natural leader and master manipulator quickly viewed the Surratt family as a means to an end. He emotionally seduced Mary, a much older woman than himself, and gained the trust of John Jr.
Booth drew John Jr. deeper into his conspiracies and he arranged to have John Jr. store two guns and a box of cartridges at the families’ Surrattsville Inn. Mary was not informed about these guns. On April 14, 1865, the day Booth shot and killed Lincoln Mary naively made a short trip to Surrattsville to collect overdo rent from her tenet John Lloyd yet another southern sympathizer. She also delivered a wrapped package given to her by Booth. Later it was revealed this package contained Booth’s field glasses. Booth in his escape briefly stopped at the inn in Surrattsville to collect the guns that he would need to fight off his pursuers. Booth was found and shot. John Jr. hearing of his death fled the country. Mary was arrested for conspiring to murder Lincoln and was tried in front of a military tribunal—without a jury. She was presumed guilty until proven innocent. John Lloyd afraid he might be implicated pointed the finger at Mary. It was his testimony that Mary had warned him to get “the shooting irons ready” that convinced the tribunal to convict Mary. The irony here is Lloyd during his testimony stated he was not sure Mary had actually said this to him. 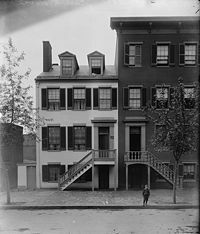 It was also established that when Booth visited the H Street townhouse he most often requested to see John Jr. not Mary. Another irony is most of the evidence presented by the prosecutor was circumstantial so if she had been tried in a civilian court this evidence would have been thrown out. Many historians today believe Mary Surratt was not apart of the conspiracy to murder Lincoln. She just trusted the wrong man. In fact, when John Jr. was captured and returned to the states two years later the jury at his trial acquitted him for lack of evidence. Mary’s ghost is present in two locations today. The inn in Surrattsville is a museum today. The director and many others have heard doors shutting and footsteps etc. without logical explanation. The other place Mary haunts is the Washington Penitentiary where she was held and tried. Today it is quarters for officers and their families—when they move in they are warned of the ghost that resides there. The second floor apartment where Mary’s cell was located is very active. People sense a woman at the window looking down on the tennis courts were once Mary’s gallows stood. Some hear a woman’s distress calls in the apartment. Others sense a deep disappointment and sadness in its rooms. Mary does not rest in peace. Today the question of Mary’s guilt or innocence is still in question but many feel she did not deserve the hanging rope. The concept that there are ghosts who are children is often hard to accept. Just thinking about this causes deep feelings of sadness and concern. Ghosts are often thought of as being lost or confused, or trapped because they have unfinished business etc. So when we think of children that we consider innocent being in a state of limbo it is disturbing. But unfortunately the reality is that ghost children are seen as often as adult ghosts. Living children often report seeing ghost children, this could be because they have something in common. Often when children recount their experiences with these ghosts to an adult they use terms like, my sister or brother or my friend. This is why parents or caretakers often think the child is referring to an imaginary friend. These encounters are most often harmless but there is one exception to this rule and it is disturbing. Sometimes negative energy takes on the shape of a child to gain the trust of the living so they can manipulate or use them. These child ghosts appear before adults as well as children. A specific example of this in my state is a belief held by the Pueblo Native Americans. They believe in shapeshifters and they feel these shapeshifters appear sometimes in the form of children. Pueblo Native Americans live in wide open spaces and strangers are not often seen. Some warn each other not to talk to the child they spotted alongside the road, a few miles back, because it is not a child but a shapeshifter. A phenomenon that has been discussed a lot in the paranormal community is Black-eyed Children. These children are normally seen in pairs and their eyes, including the white part of their eyes, are completely black. They approach the living requesting help or if they are at your door they request to come in. More often than not people who encounter them sense something is not right or they just get freaked out and refuse their requests. It is believed these children are demons or evil energy and that they cannot harm the living unless they are invited in. In one of my former posts I discuss Darkness Radio’s discussion about this phenomenon. Unfortunately some ghost children are victims. They are trapped because of an act of violence that was done to them leaving them to face unfinished lives. One child ghost I have encountered appears to fit into this category. He witnessed a murder and when the murderer spotted him he was murdered as well. At present he stays in one specific part of a building my group investigates. Some theorize that ghost children stay around because they like the feeling of lightness they experience after death. Others assign a much more dark reason for their presence, they feel these children might be trapped because they are being held against their will by a stronger force. All I know is they are here for reasons I cannot fathom. * Some parapsychologists speculate that ghosts can appear at various stages--meaning they can appear as an adult one time and at another time as a child or elderly person at another time. During this war Americans were either Patriots—those who wanted independence from Great Britain, or Loyalists those who remained loyal to King George and wanted to remain an English Colony. Most of the Americans who lived in Oyster Bay were Loyalists so the Townsends were in the minority. After the Patriot’s defeat at the Battle of Long Island, to add insult to injury Samuel Townsend was forced to quarter in his home two of his enemies Lieutenant Colonel John Graves Simcoe and Major Andre both British officers who commanded an elite unit of American Loyalists called the Queen’s Rangers. Samuel Townsend told his children to treat the officers with respect. One of Samuel’s daughters Sally Townsend enjoyed the company of these two British soldiers and despite her father’s protests she continued to associate with them. 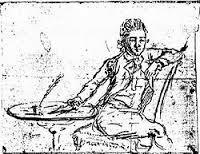 She eventually fell in love with John Graves Simcoe and he returned her affection. 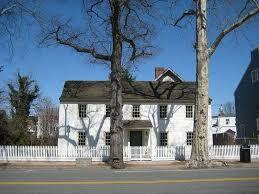 Raynham Hall today is a museum and it contains what is considered the oldest Valentine preserved in American History. John gave this valentine, dated February 14, 1779, to Sally. During this time the Culper Spy Ring was supplying much needed information about British plans and troop movements to George Washington. Simcoe in turn was using Raynham Hall as a drop off location for British intelligence. This information was passed on to Benjamin Tallmadge, who had organized the Culper Spy Ring. Major Andre was found, on him he held the plans for the fortification of West Point that Arnold, following through with his betrayal, had given him. The choice Sally made allowed West Point to be saved from British control this helped the Patriots win the war. Unfortunately, there was no happy ending for Sally Townsend. John finding out about her part, vowed to avenge Andre’s death and left Oyster Bay never to return. He later married and was made a Lieutenant Governor of Upper Canada. Sally lived the rest of her life at Raynham Hall. It is said she thought of John everyday of her life. She died a spinster at the age of 82; among her remaining possessions was the valentine that John gave her. 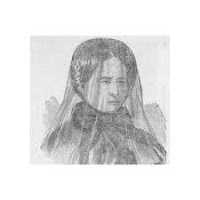 Today there is a female ghost that haunts Raynham Hall--Sally Townsend. Her bedroom, known as the west room, is always colder than the rest of the house. Tour guides mention that they have to wear a sweater when they are in her room. Many people avoid the room altogether stating they always feel someone is behind them. Others state they feel conflicted guilty emotions upon entering the room. I first heard a tradition jump story when I was attending Girl Scout Camp one summer. 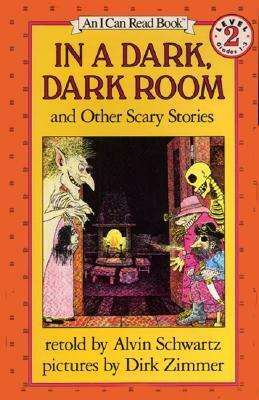 Years later when I read Alvin Schwartz’s’ Scary Stories to Tell in the Dark anthology I discovered that these stories take on all forms but they do have one thing in common—they are all structured to make the listener jump at the end of the story. Below is a variation of one jump story told to us as we roasted marshmallows around the evening campfire. Let me mention here that our counselors were very adroit storytellers. They knew when to pause, when to raise their voices to make the tales they told us even more dramatic. During one campfire one of our troop leader’s husbands taped eyes made out of tin foil to a tree truck beforehand and then when he told us one story, about a lobo (wolf), he swept his flashlight beam through the surrounding forest until it illuminated the eyes which made them glow, we all jumped. This kind of creativity is needed when you tell a jump story. Jim went to school with a very pretty dark-haired girl; the ribbon she always wore around her neck matched the color of her eyes. He was so shy it took him months before he raised enough nerve to talk to her. When he finally did he found she was as nice as she was pretty. The two formed a friendship that grew into a loving’ bond as they became young adults. Jim again found he needed to find enough nerve to ask her a very important question. Finding the courage he asked her to marry him. She accepted without hesitation. They married and were very happy but one thing kept gnawing at Jim. He had never once seen his wife without the green ribbon around her neck. His wife became very ill and on her deathbed he requested on last time she remove the green ribbon. She nodded yes but was too weak to untie the ribbon so she motioned for Jim to do it. He did, and her head fell off. So you see the purpose of a traditional jump story is to startle the listener. 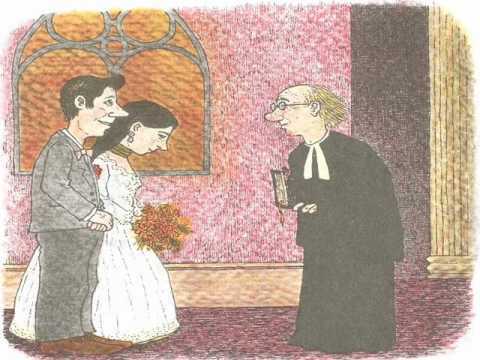 Here is a recording of the story The Green Ribbon from Schwartz's book.